Pattaya is a famous city of Thailand, and because of its unique activities during the night, this city earns a worldwide reputation. As you can see, it offers tons of entertainment and a cheerful place for tourist look for endless exciting and fun. Of course, not everything is as fun as they seem but most of them are amusing and making this city become a paradise of entertaining. ​You can find almost everything at Pattaya Thailand nightlife; some spots are family-friendly, some are naughty and require at least 18 years old to enter and take part in the party. A wild nightlife could be found with rock bands, cabaret shows, international DJs, pool parties or even a quiet place at your local far from home. So let’s go wild at Pattaya Thailand nightlife and check out this list of entertainment things to do below! 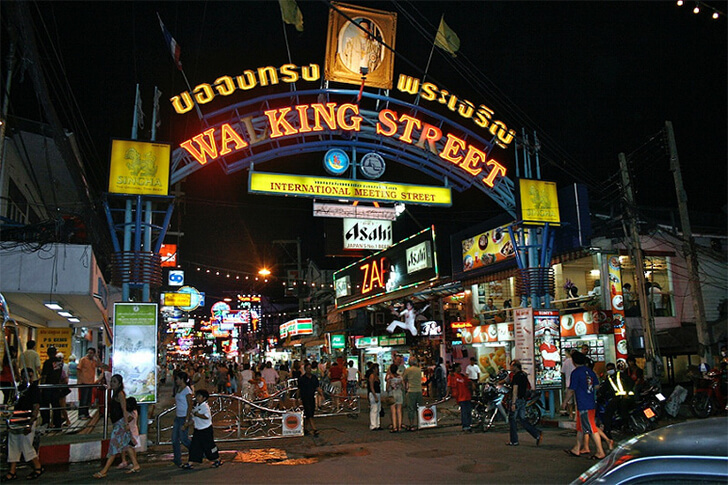 The Walking Street is one of the most famous places in Pattaya that everyone knows about. Only 500 meters street next to the beach, this street is closed for walking from 18:00 every night. All traffic is forbidden in this road. This road quickly becomes a place for tons of vendors, stores and night club to gather at night. You can choose any bar or club to party with your companies or even with complete strangers. There are some well-known bars like Red Car, The Pier Disco Clun, Candyshop, etc. Ladyboy show in Pattaya is always on the top of must do list when you visit this city. Ladyboys are unique of Thailand and Alcazar Cabaret Show in Pattaya is a must see at Pattaya Thailand nightlife. The show is widely known as the best ladyboy shows in Pattaya and recommend by many travellers. 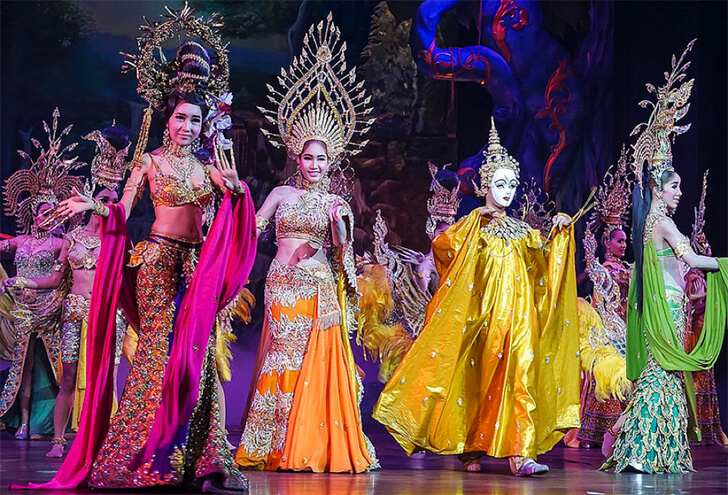 A 400-member squad offers a 70-minute musical show of extravagant and beautiful performing in the ingrained theatre by Pattaya Second Road. This show first started from November 1981 with only 350-seat theatre, but quickly gained its reputation and replaced with a bigger theatre and better sound and light systems. The show is now constantly updated and improved, both contents and facilities. For many travellers, this show is the biggest reason that they come to visit Pattaya. 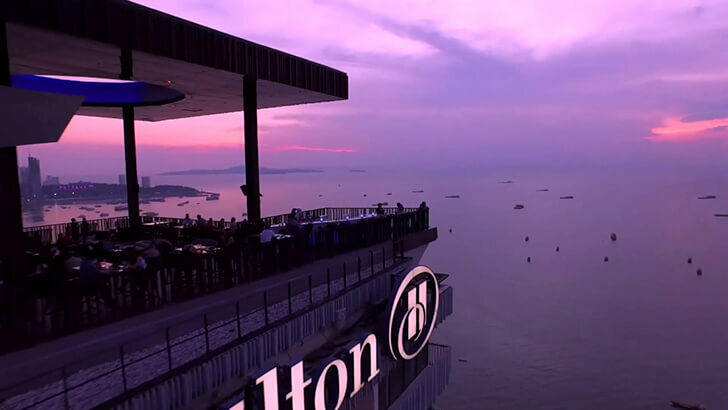 To find a good spot and enjoy the sky, the Horizon Bar at Hilton Pattaya could be the tallest building in the area. Located on the 34th floor, Horizon Bar is the best place to enjoy the view with a cool drink. Happy hours – buy one get one free last from 17:00 to 19:00 is a good time to catch the beautiful sunset with your friends. Stunning view at Horizon Rooftop Restaurant and Bar at Hilton Pattaya, Thailand. In case you prefer a fun and wet party with hot girls and boys, FFlic Cliff and Pool Club will let you join in a really fun pool party. You can watch the sunset while keeping the party going wild and crazy. Good music and tunes, infinity-edge pool and coolest people gathering around, this spot will be a good place to make friends and enjoy a young and wild party. Hard Rock is a worldwide famous franchise, which is well-known for quirky style and music. If you are into rock, visiting this café is a must-do. 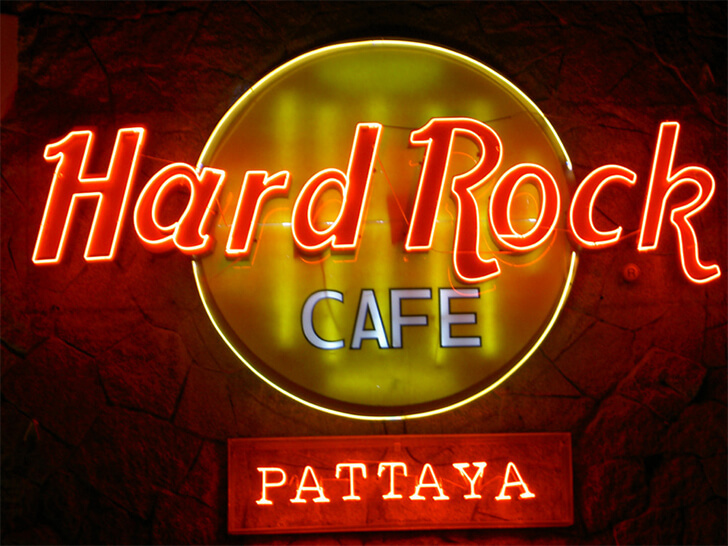 There are many talented rock bands rotated and sometimes, special guest bands make a regular arrival will make your Pattaya Thailand nightlife even better. 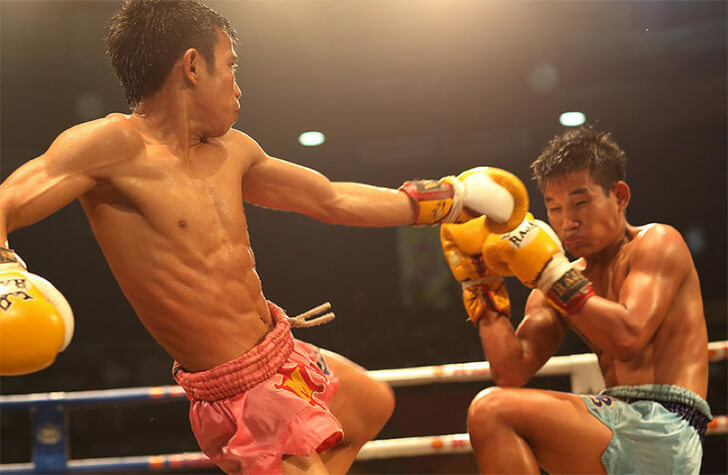 Watching a match of Muay is exciting and let you learn many things about Thailand’s cultures. Another thing about Thailand is Muay. You can see it in many movies and TV series and Muay Thai becomes more and more popular. You can see professional fighters in real fight or shows or if you are brave enough, you can get into the ring and try your luck to against a real fighter of the house. At the end of the night, you might learn some moves or simply be hit a bit. This one is for adult only as this is one of the biggest adult bars in the Walking Street. The comforting music of the DJs and the attractive waitresses in the club are two of the most eye-catching features of this bar. The insides are not really good, but the friendliness of these waitresses is the things to keep visitors keep coming back. Try the Jacuzzi shows if you look for ultimate enjoyment. Pattaya Thailand nightlife is a real place for visitors to get lost and relax. All services are good, and people are really friendly and helpful. If you are planning to settle your life by a wedding, just come here and get lost for one time to make sure you don’t miss anything in your young and wild life. 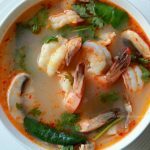 5 Most Famous Foods To Eat In Bangkok!